Billeted at a pub on the Kent coast, they had been ordered to capture any German aircrew shot down in the countryside. 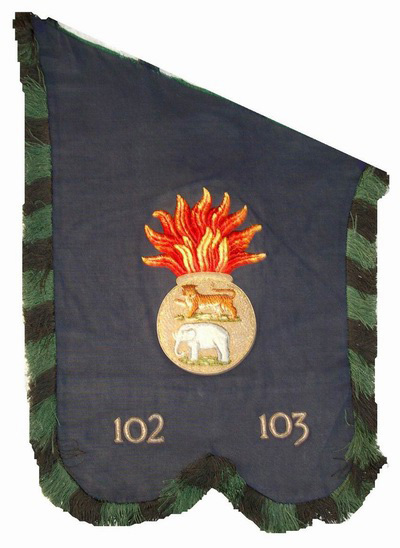 But the men of the 1st Battalion London Irish Rifles were to carve themselves a little-known place in military history: they fought the last ever battle to take place on the British mainland. Most history books record the crushing of Bonnie Prince Charlie’s Jacobite rebellion at Culloden in 1746 as the last pitched battle fought on British soil. 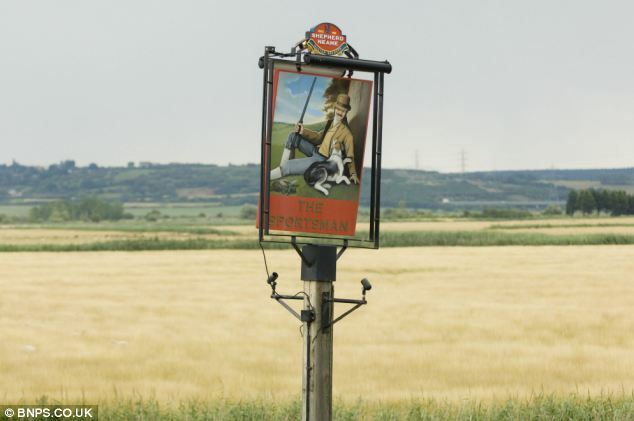 Now efforts are being made to give the Battle of Graveney Marsh more official recognition. It happened when a stricken Junkers 88 crash-landed after being attacked by two RAF Spitfire fighter planes in the skies above the English coast. One of the bomber’s engines had already been knocked out by anti-aircraft fire when the second was put out of action by the Spitfires. 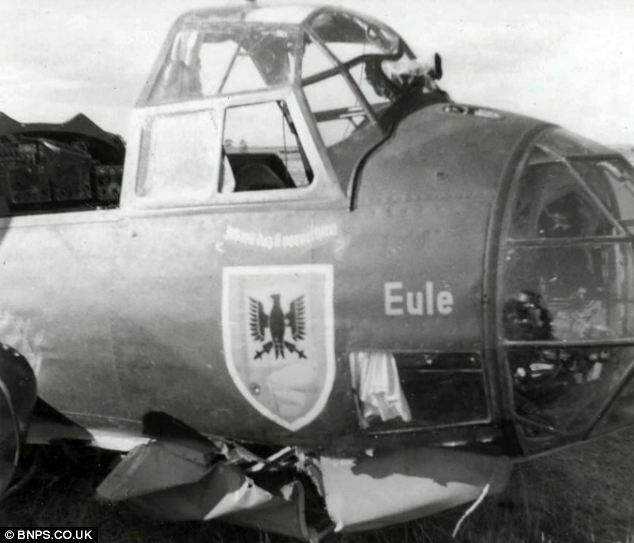 The pilot, Unteroffizer Fritz Ruhlandt, was forced to land on Graveney Marsh. The crash was seen by members of the London Irish Rifles’ A Company, who were holed up in the Sportsman Inn in Seasalter, a hamlet near Whitstable, and they were dispatched to the downed plane. 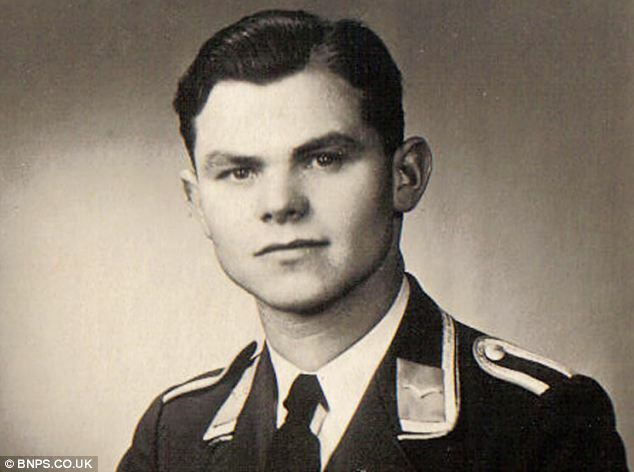 They fully expected the four-strong Luftwaffe crew, including wireless operator Unteroffizier Erwin Richter who had only married a couple of months before, to give themselves up without a fight. But to their horror, as they approached the aircraft the Germans opened fire with the aircraft’s two machine guns. Some of the British servicemen dived to the ground and returned fire, while a smaller group crawled along a dyke to get within 50 yards of the plane before they started shooting. Following a heavy exchange of fire, they mounted an assault on the Junkers and the Germans surrendered. No-one was killed in the battle, although one of the enemy was shot in the foot. In a dramatic twist, the company’s commanding officer, Captain John Cantopher, overheard one of the captured crew mention in German that the plane would ‘go up’ at any moment. He dashed back to the aircraft, found an explosive charge under a wing and threw it into dyke. It meant the prized aircraft was captured for British engineers to examine. Captain Cantopher won a George Medal for his bravery. Incredibly, the British soldiers enjoyed pints of beer with the German captives back at the pub before they were picked up as prisoners of war. Next month, the London Irish Rifles Regimental Association will mark the 70th anniversary of the battle by unveiling a commemorative plaque at the pub. Nigel Wilkinson, vice-chairman of the association, said: ‘Although it barely gets a mention in the history books, Graveney Marsh was the last battle to take place on British soil involving a foreign enemy. ‘At the time the aircraft was a new marque and as it was only two weeks old it provided the Air Ministry with valuable intelligence. Of course the men of the London Irish Rifles spoke about the battle. It went down in folklore within the regiment. ‘But it seems to have been forgotten about. 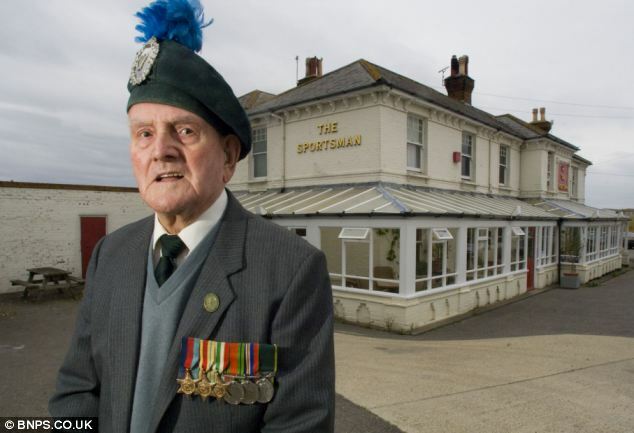 We thought it was about time something was done to officially recognise and remember it.’ Corporal George Willis, 90, of Greenwich, south-east London, the regiment’s piper, was in the Sportsman when the men returned with the Germans. 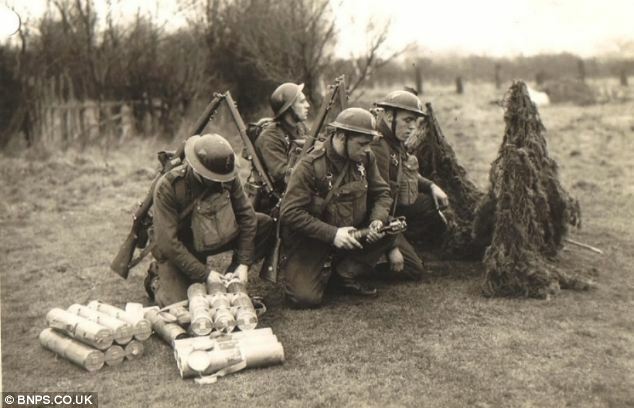 An element of the London Irish Regiment training near the scene of the skirmish in 1940. It is expected that 60 members of the London Irish Rifles Regimental Association will attend the event at Seasalter, on Sunday, September 26. There will be parade in front of the association’s president, Major General Corran Purdon, who won the Military Cross for the Second World War raid on St Nazaire and was imprisoned in Colditz. There will then be a service before the unveiling of the plaque. ......Below is a brief bio of George Willis kindly provide by his son George Willis jnr. 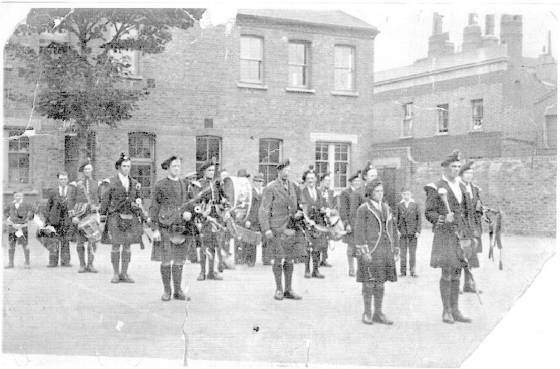 learn the Irish Warpipes aged ten at the Tottenham Irish Pipe Band..
who later were to be the P/M and B/M of the London Irish Rifles. 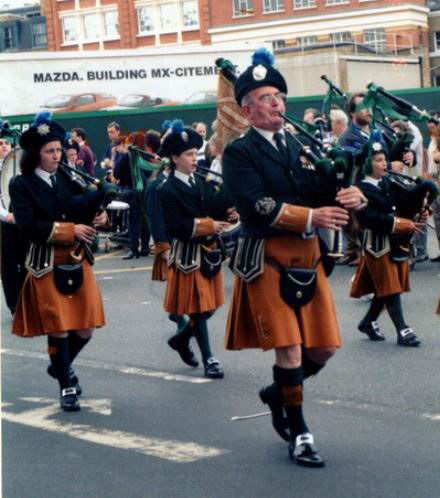 - a regiment that had been disbanded when Ireland gained independence. in Germany until liberated by the Russian Red Army in April 1945.
devoting himself full time to his young family. George) paraded for nearly fifty years! Deptford pipers & drummers as the nucleus for this exercise.